Heckuva week: A new #kidlit blogging gig and 3 story sales! 1. I've been named the first-ever Children's Lit columnist for a wonderful website called Eat Sleep Write. 2. Dreaming Robot Press will publish my middle-grade sci-fi story "Leafheart" in the 2016 Young Explorer's Adventure Guide. I'm especially pleased about this, both because I was also in the 2015 edition, and because the folks at Dreaming Robot are outspoken advocates of diversity in kidlit. 3. Urban Fantasy Magazine will publish my weird, funny tale called "The Duchess of Fitzrovia," which I wrote a couple of years ago during a trip to London. 4. Strange Musings Press will publish my story "Motherlode" in the anthology Alternate Hilarities 2: Weirder Science. If you're a fan of my Webrid books, you'll enjoy the style of this space mining caper. Items 2 and 3 are made especially sweet because both were revisions requested by the respective editors. This maintains a stat of which I am exceptionally proud: I have a 100% acceptance rate on stories I've been asked to revise. That's a darn good skill to have in this biz. 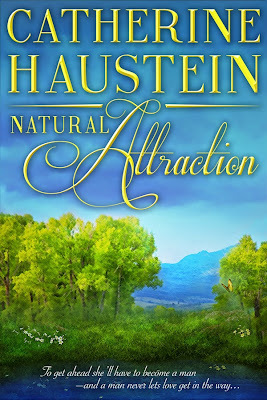 My guest today is Catherine Haustein, author of Natural Attraction, a science-based historical romance. She shares her book's complex background. I’ve been a chemist for over thirty years and it’s a stimulating and often amusing career—in other words, good novel material. Like Clementine in Natural Attraction, I’ve frequently imagined that things would have gone more smoothly had I been a man. Setting Natural Attraction in a time of strict gender roles illustrates how far we’ve come and what still needs to be done. I chose to place Natural Attraction in 1871 because it was a time of great social change. The theory of evolution and the discovery of sperm and egg cells were quietly ushering in ideas of social equality. Science was a train riding the rails of certainty and classification. And in the hometown of my ancestors, Singapore, Michigan, USA, ecological disaster was brewing. These coalesce in Natural Attraction. Picking the best genre for the story was a challenge. I decided to write it as romance, not sci-fi. My family was involved in a Shakespeare Festival for a while and I appreciated the complexity of the comedies and the required happy ending, fitting with a romance. Science is filled with passion, curiosity, and the unknown just like romance and the two are very compatible. I also thought it would be fun to give a scientist a romantic liaison with a preacher to let them explore what they had in common. Another challenge was giving Natural Attraction a Victorian feel without being weighed down by flowery language. I had Clementine be from a family of recent immigrants from the Netherlands, as my ancestors were. I had some characters use Victorian idiomatic expressions. I enjoyed incorporating a Victorian melodrama and theater into the manuscript and included patent medicines and the use of poisonous dyes in clothing as important Victorian touches. One aspect I wrestled with was how to address sexuality and the transformation of Clementine into a man. I work in a male dominated field and had an inkling of the isolation she might feel as a woman who didn’t really fit in anywhere. I had help from men, particularly those at the Iowa Writers’ Workshop, who offered suggestions on what it takes to be a man and the privilege and culpability that come with masculinity. This book is a romance pitched towards women but the comic look at gender roles should appeal to everyone who’s ever felt stuck in them. Blurb: Clementine dreams of being a naturalist—a career that leaves no time for romance. To sneak on an adventurous prospecting expedition, Clementine will have to convince everyone she’s a man. A mysterious tonic offers her just that disguise. 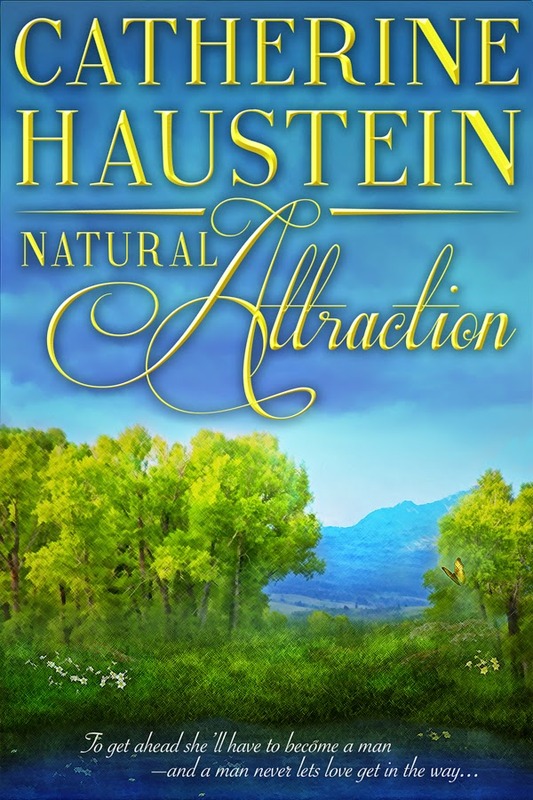 Natural Attraction is available from Penner Publishing, Lybrary, and other major booksellers.